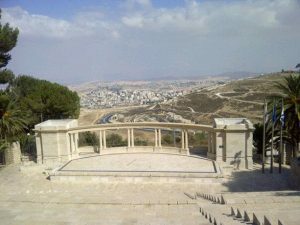 Why Study Abroad at the Hebrew University of Jerusalem? 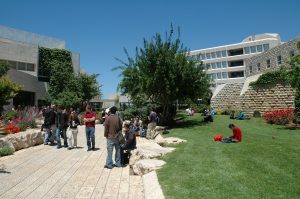 Study at Israel’s leading university and a globally ranked Top 100 institution. Enroll in specialized courses in your field and earn academic credit. Prepare for the job market or further study by networking with faculty and peers. 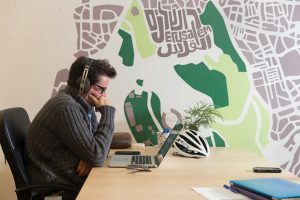 Study in Jerusalem, a city with a rich history and culture – and vibrant entrepreneurial spirit. 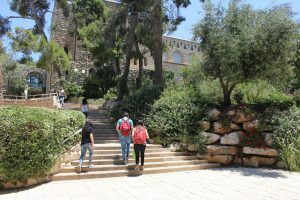 The Hebrew University’s Rothberg International School (RIS) offers graduate students the option to study abroad for a semester or full year, in part-time or full-time capacity. 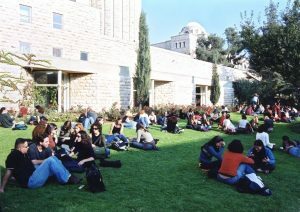 Students build their own program of study by enrolling in courses at the RIS as well as at the other faculties and departments of the Hebrew University. Upon completion of their studies, students receive a transcript to facilitate the transfer of academic credits to other institutions. This program is open to qualified master’s candidates, doctoral candidates, and recent college graduates who have not yet begun graduate study. For more information about courses, please refer to the RIS graduate course catalog. 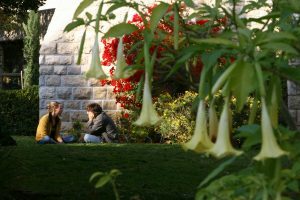 For information about courses taught in English at the other faculties and departments of the Hebrew University, please refer to HebrewU’s catalog of English courses. You may enroll for a full academic year (autumn and spring semesters) or for one semester only (autumn, spring, or summer). For more information about dates, please refer to our academic calendar. 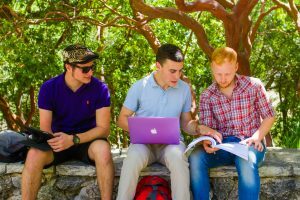 The recommended full-time study load per semester is one course in Modern Hebrew or Literary Arabic language (8-10 weekly hours) and three to four seminar courses (around 8-10 weekly hours). Part-time study enables students to take up to two courses per semester. You can earn academic credits to transfer to your home university. Upon completion of your studies, we will provide you with a full transcript to facilitate the transfer of credit. 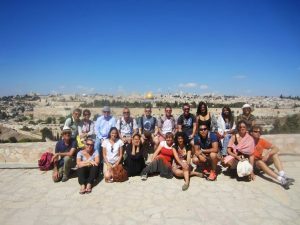 At HebrewU’s Rothberg International School, students study with emeritus faculty members, senior faculty members, adjuncts, and postdoctoral fellows as well as with teaching faculty who have real-world experience practicing in their fields. Please see our faculty page to learn more. Read more about our students’ experiences. 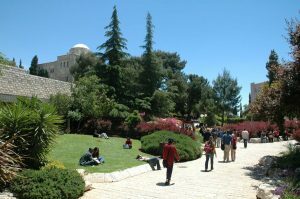 HebrewU’s RIS offers a rich extracurricular activities program, including tours, cultural and social events, lectures, and more. 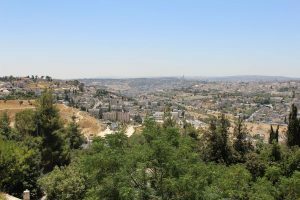 We support you throughout your stay with us so that Jerusalem becomes your home away from home. 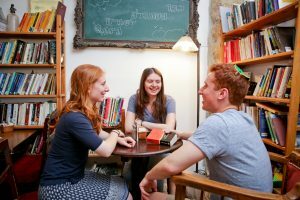 Learn more about student life. * Students who submit their applications and all of the required supplementary documents by the early admission deadline (January 15, 2019) will receive a reduction of up to $540 on tuition. Arrive on campus by: Approximately one week before your program starts; specific dates will be sent to accepted students via email. Program length: One semester or full academic year; check the academic calendar for specific dates. For financial information, see Tuition & Fees for Graduate Students. Students enrolled in the Graduate Non-Degree Program are eligible to receive health insurance for the duration of their program at no extra cost. Students who will be arriving early or departing late may purchase extended health insurance. See Health and Safety for more information. 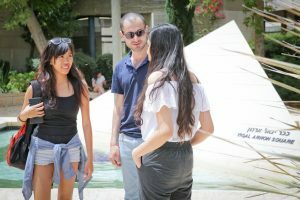 The Summer Ulpan (an intensive Modern Hebrew course) is optional. Tuition for international students is US$ 2,425. 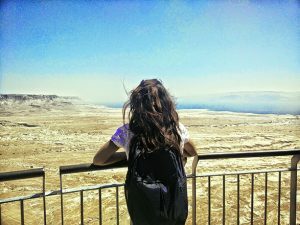 Tuition for Israeli citizens is NIS 7,770. 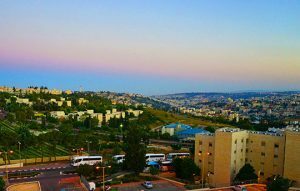 Housing is available for the Summer Ulpan for an additional fee of US$ 1,640. See Summer Ulpan Programs for more information. A limited number of on-campus student apartments are available. The cost of housing for two semesters (October, 2019 – June, 2020) is US $6,180. See University Housing for more information. For a complete explanation of fees and refunds, see Tuition & Fees for Graduate Students. A limited number of scholarships, based on merit or demonstrated need, are available. See Scholarships and Financial Aid for more information. A Medical Form and Disclaimer Form (the latter is for US citizens only)- both forms may be downloaded from the application website. All documents may be uploaded to your application directly or sent to gradmiss@savion.huji.ac.il as email attachments. * Students who submit scanned copies of their academic records may be accepted to the program conditionally, pending submission of original academic records. ** If you have completed a degree at a university at which English is the sole language of instruction, or if you have completed a degree in English Language and Literature, you can request an exemption. You must submit documentation from your university verifying English as the language of instruction. Exemption is not automatic and is determined on a case-by-case basis.